Musician Earplugs: How to know which one is right for you? Unlike hearing aids, you can get musician earplugs just about anywhere. Hence, ensuring whether it works or not may seem relative to you at first, until you start getting signs of hearing problems. 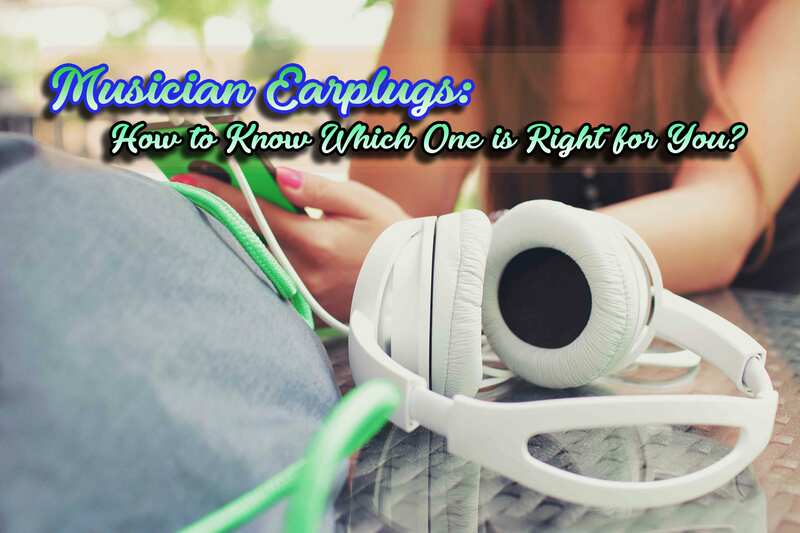 Aside from double checking the label and making sure that it’s not a swimming earplug, there are a few things that you can check. This is what we’ll aim to discuss in this article. Prolonged exposure to loud sounds can cause real damage to your ears. Symptoms can start as tinnitus, hearing loss, or hyperacusis (sensitivity to sound). Thus, if you buy musician earplugs you would want them to function as expected. They should block harmful sounds. Conversely, earplugs vary on the level of noise that they protect you from. So, finding the right one also is relative to your intended use. 10dB – ideal for vocalists, woodwind instrument players, guitarists. 15dB -ideally for bass players and guitarists. 25dB – ideally for percussionists, concert goers, and drummers. As much as you need to keep out very loud sounds to protect your ears, you will also need to keep essential sounds in. So, you can hear your own music. And thus, be able to continue producing the music for your crowd. Hence, the ideal musician earplugs need to have the ability to attenuate noise without distorting it. Although your looks do not add as much factor as your talent does, one of the main ingredients of charisma is self-confidence. And in most cases, you can never be as confident as you should, if something is sticking out of your ears. So, if your musician earplugs are concealable, then all the better. There are plenty of options for you, various designs are not easy to spot and some are even transparent. Having the right attenuation, zero sound distortion, and concealability in one musician earplug should give you comfortability already. But if your earplug is slipping out of your ear—especially when the hype of the performance calls for so much movement—then it’s a different issue. Our ears shape, size, and form are as unique as our fingerprints. That said, finding the right one that fits perfectly and will not cause an uncomfortable feeling in our ears or fall out, can be challenging for you. Good news is, there are so many options to choose from. Unfortunately, there is no tuning functionality to musician earplugs just as you can tune your musical instruments. You need to wear the right one for you to ensure that you are getting the protection, whilst being able to keep the same level of hearing that you need to do your craft. Getting them from sources online is an option, but if you need the right earplugs quick and efficiently, then get in touch with the experts! They can point you in the right direction. Do you need a pair immediately? Let us know today. Basically, the main advantage that we have, we are not dependent on manufacturers. If our patients need hearing aids, implants, etc, we have the ability to choose the right device for you. Because with Medical Audiology Services, the patient needs are our priority. Get in touch with us today! Also, learn more of that ringing sound that you hear, check out our article: Be Ready for Tinnitus Before it Takes its Toll on You. This entry was posted in Ear Plugs and tagged Children Hearing Tests, Cochlear Implants, Deafness, Dizziness, Hearing Aids, Hearing Implants, Hearing Tests, Medical Audiology Services, Musician Plugs, Swim Plugs, Tinnitus.